Used to be that we would stay on the flying field long after everyone else had gone for the day. Not so lately. It was hot and humid for our regular Carolina Kite Club fly. Thankfully, the wind was good and the skies cloudy, which keeps the temperature down to a tolerable level. There were several visitors joining in this time. A family had bought kites for their children and brought them out to the fly. The kids did really well with their sled kites and had a good time. A family from Memphis brought their wonderful vintage kites. They flew two of them on the beach; a Sutton 16 flowform and an original Hawaiian Team Kite. This kite dates back to 1987 and was signed by the Top of the Line performance team headed up by Don Tabor. Don invented the Hawaiian Team kite, which was the first of the “big wing” stunt kites. 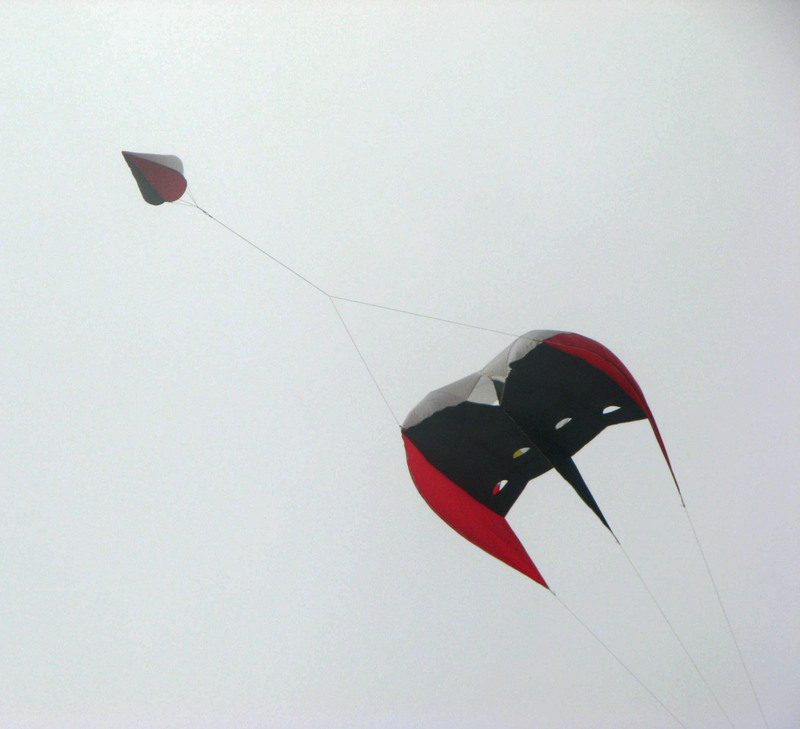 This kite started a revolution in the design of the delta stunt kite. 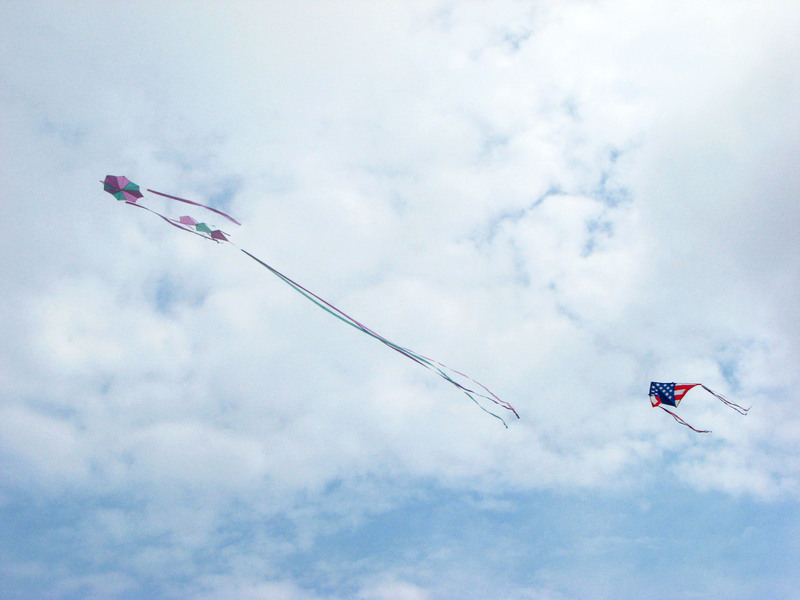 Other club members put a variety of kites in the air. 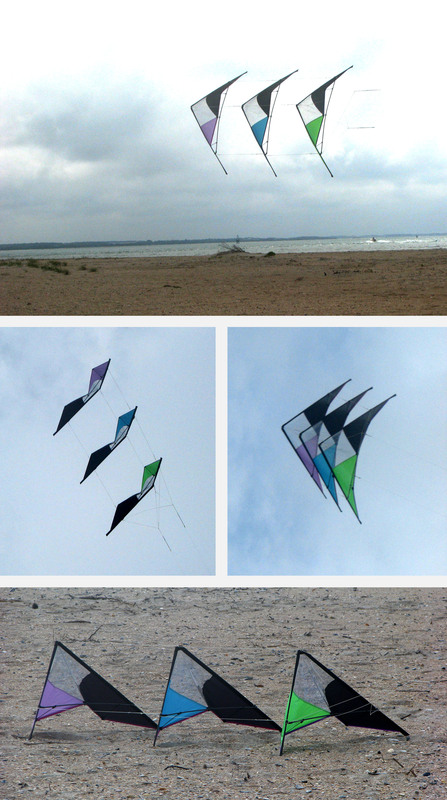 These included a RWB Delta, a Laima, a Tribal Shield, a Sky Skimmer and various Critter Kites by Skydog Kites. It’s an interesting mix of kites. 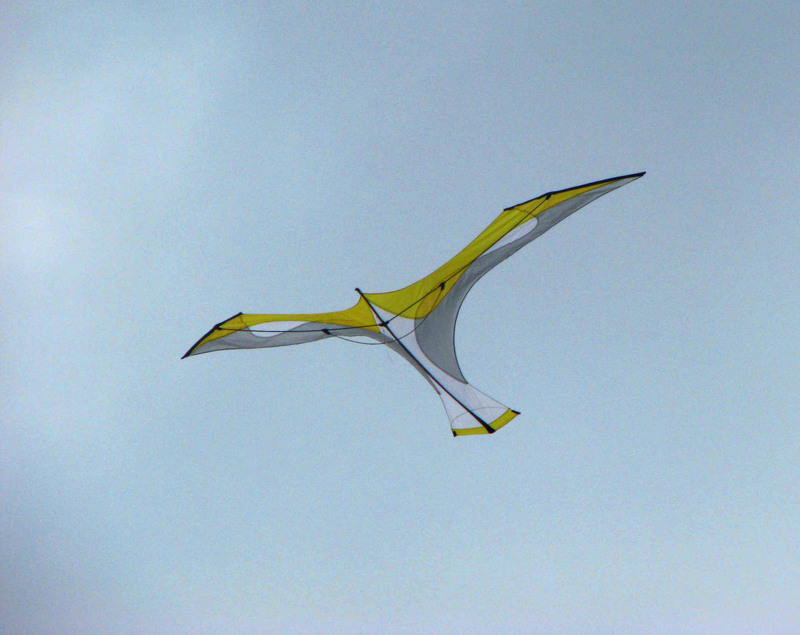 The Laima is considered a low wind glider kite. This kite is even recommended for no-wind indoor flight. Yet it flew very well in the winds this day. I was really pleased to get the Tribal Shield in the air. It has been a couple of years since this kite has left the kite bag. 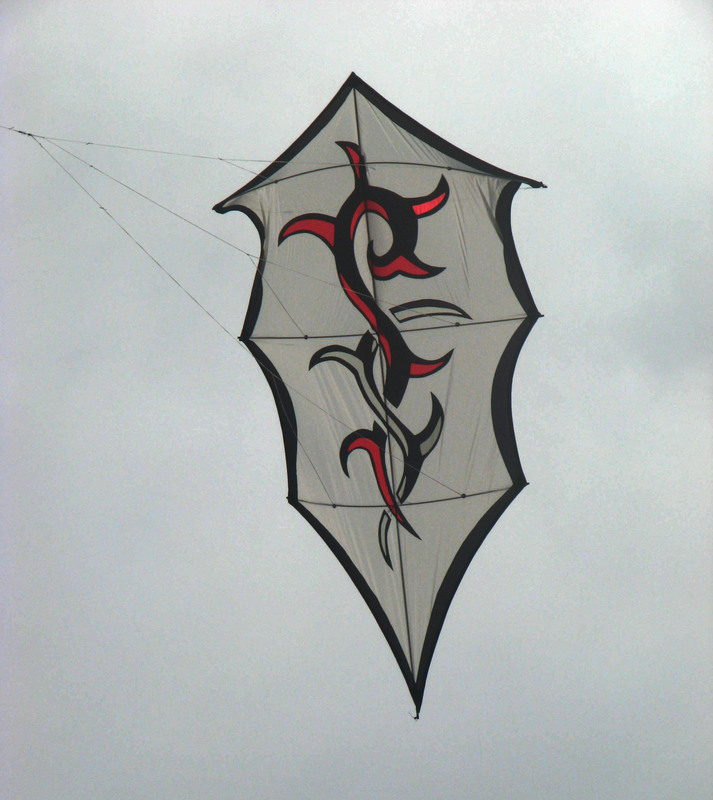 The Tribal Shield and the Delta are the type of stable kites that are easy to fly in most winds. I call them the “automatic” kites. They go up and they stay up as long as the winds blow. The same is true of the Sky Skimmer. This kite is only available at the Kites Unlimited kite shop in Atlantic Beach, NC. 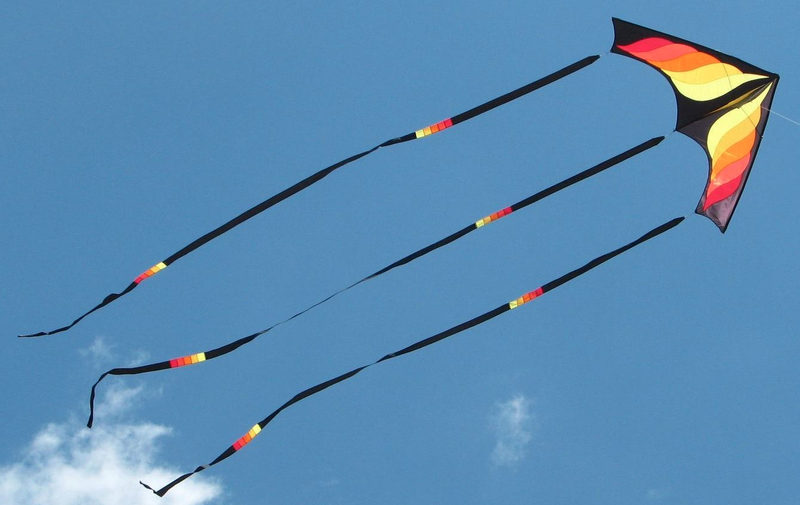 The Critter kites are great for family fun and are easy fliers. They include a penguin, a bumble bee, a monkey, a panda, a tiger and an elephant. Once the single line kites were in the air, I went on to play with another set of kites I hadn’t flown in quite a while – a three stack of Goblins. The Goblin is a smaller dual line stunt kite that is practically indestructible. A great inexpensive kite for a beginner flyer. The center diamond-shaped panel is made of Prizmatex. It looks transparent until the sun hits it from just the right angle. Then it glitters with all the colors of the rainbow. Unfortunately, the effect is hard to photograph so you’ll just have to take my word for it. They are fun to fly alone or in a stack. And, after flying the three-stack for a while, I decided it was time for an expansion. I now have a five-stack of Goblins. The saying “More is better” definitely applies to kites. This was one of the better kite flying days we’ve had in a quite a while. Here’s hoping it’s a sign of more good things to come; more good wind days, more flyers, more kites and more fun.